Succulents do just that.... steal my heart. i love to use them mixed with other unexpected plants, like these snapdragons for instance! 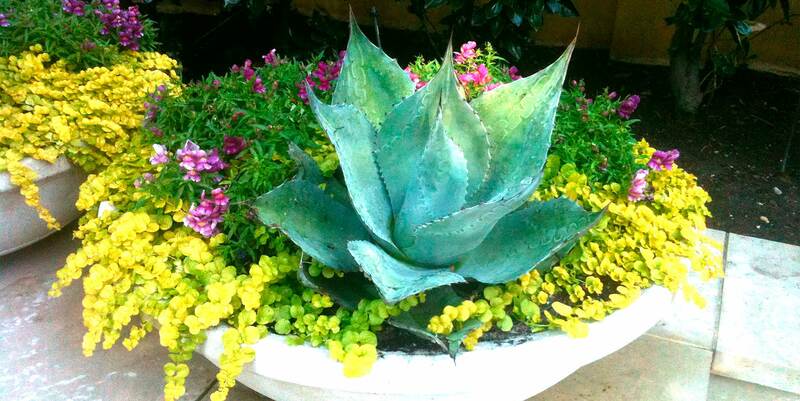 And even though Texas in general conjures up images of cacti and tumbleweeds, many succulents are not hardy for us.. so containers are great ways to give those cute little kalanchoes a chance.